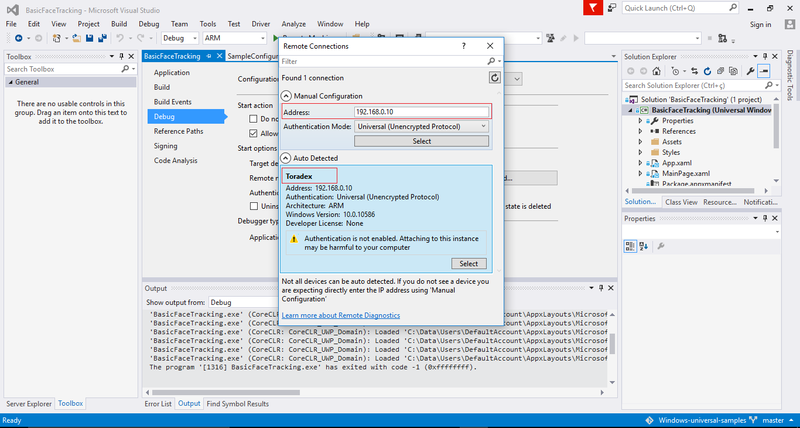 This article explains the step-by-step procedure to deploy the facetracking demo on Toradex Windows 10 IoT Core Kit. 1. 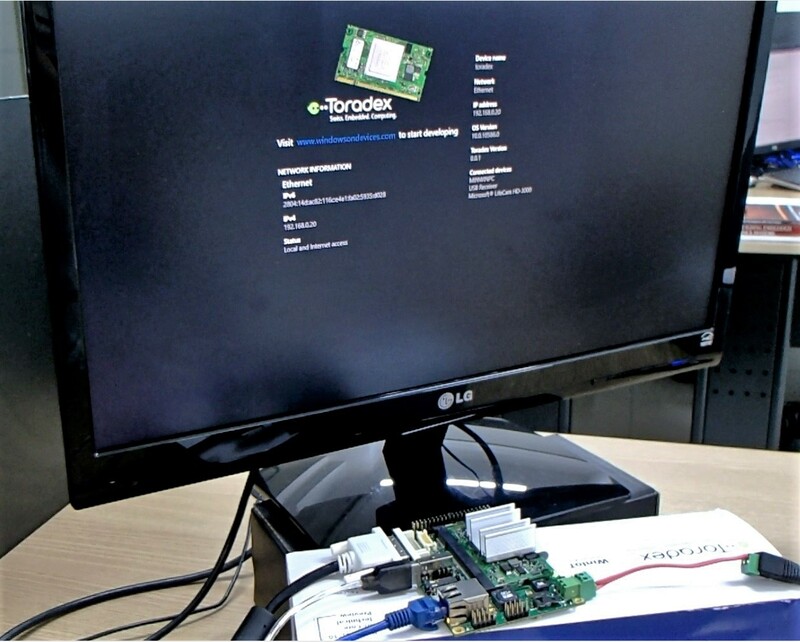 Connect your Webcam over the USB port in Iris Board and use an Ethernet cable to plug the board in your local network. After the boot you should see that Windows 10 IoT Core has recognized the webcam . 2. You will find the FaceTracking sample here. After you download the sample, unzip it if necessary. 3. 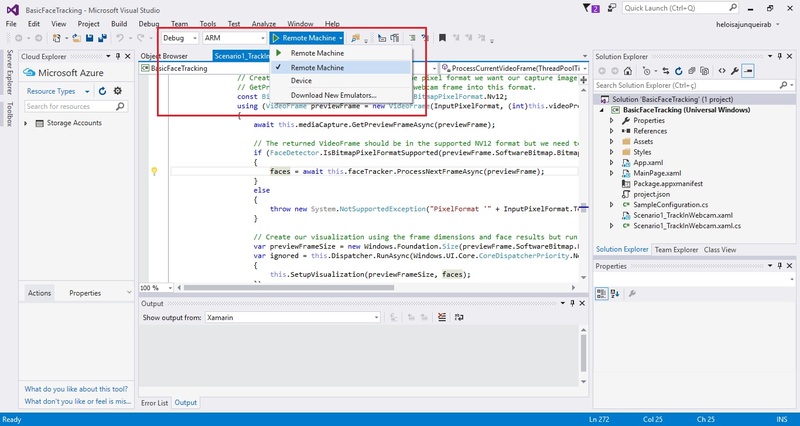 Start Microsoft Visual Studio 2015 and select File > Open > Project/Solution, then select the BasicFaceTracking.sln in “cs” folder of the downloaded package. 4. To debug the program, choose the option ARM and Remote Machine. 5. When you choose the option Remote Machine, the Remote Connections window will open. If the option "auto detected" has found your device, choose it and press select, if not, enter the IP address of your module in Address field and press select. 6. If the Remote Connections window doesn't open, select Debug > Properties and in the Debug option click in Find. This will open the Remote Connections window so you can follow the steps above. 7. Now you can run the sample program, click in Play Remote Machine this will start the program in your remote device. When the app starts choose the option Start Streaming.